The regular rate for a stand-alone 25-word MegaMarket ad is $249.00. (Stand-Alone for MegaMarket ads means that the ad is purchased alone and not part of a package.) 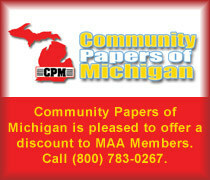 Community Papers of Michigan provides MAA members with a $20.00 discount off of that price. Additional words are $10.00 per-word per-paid ad. When you place a MegaMarket Ad Community Papers of Michigan donates $40 to the MAA. They apply $20 of that $40 towards your entry into the upcoming conference for the year! If you run ad’s regularly this a no-brainer, the value will add up quickly! 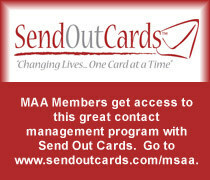 Joe Sherwood PAID for his 2019 Conference Registration through this program! 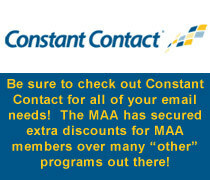 Many other members received discounts off their convention registration because of this program! 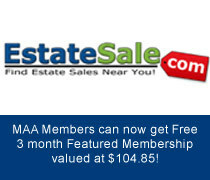 ALSO, MAA members can take advantage of our BUY 3 MegaMarket Ads, GET THE 4TH AD FREE! For the basic network, you can choose any 5 papers (THAT YOU HAVE NOT DONE BUSINESS WITH) as these rates are deeply discounted. Some papers will allow you to place through our association if an MAA member is a client of theirs, however most do not want to give up their local business, which we respect and was a contingency of putting this Network together. These ads are discounted by 35% or more and offer a tremendous value and reach compared to non-contract rates at most weekly newspapers, and cost a fraction of what daily newspapers charge. 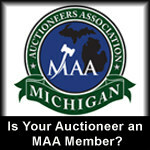 The goal of this network is to have auctioneers try publications in neighboring markets or if they have an auction in an area they are not familiar with, you now have options with lower rates. The MegaMarket ad for this package has been discounted down even further, so Community Papers will only donate $20.00 to MAA from these packages but it is still a great kickback considering the value you are receiving in return. Community Papers works with a great deal of our members & offers outstanding time savings & market knowledge. 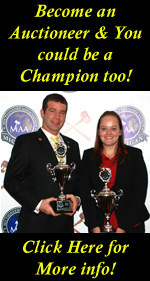 Contact them for a quote to match your marketing budget. 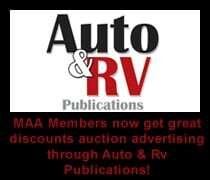 Ordering all ads with their member publications primarily or they can also place ads into non-member publications on custom quotes. Provide One Itemized Invoice that requires just one payment regardless of how many publications are ordered, which saves a lot of time and hassle. 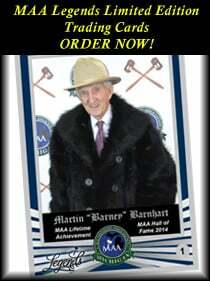 Provide a proof of the display ad from each publication ordered. 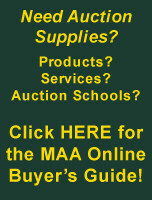 Provide tear sheets to the auctioneer Electronic or printed if necessary. The support & value received by community papers of Michigan are quite extraordinary. 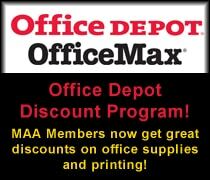 Please make sure to take advantage of these programs & support those who support our great association!